High quality materials, health and environmental protection, design and elegant in appearance, unique technology, and has good insulation, the effective protection of your desktop, and insulation avoid ironing, intimate anti-skid! Fresh tablecloths, quality fabrics, simple colors, fill out a home beauty, freshness, a romantic, four seasons can be used. Fresh! Atmosphere of the classical style, add a retro feeling, with a touch of minimalist beauty cascading cross colors, beautiful! Amorous! Recommended hand wash in cold water with a pinch of salt in salted water washing can have solid-color effect, dry, medium temperature ironing. 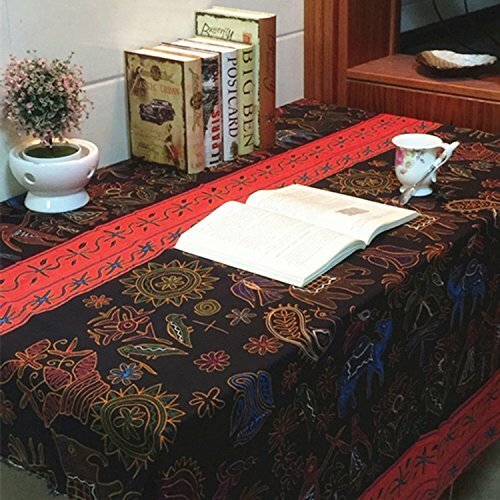 If you have any questions about this product by VULk-Tablecloth, contact us by completing and submitting the form below. If you are looking for a specif part number, please include it with your message.